The Dedacciai Gladiatore has been given some new colours and an updated production process. The frame has been built for comfort, using the highest technological capabilities available to Dedacciai. Named for its connection to the Gran Fondo combative endurance races, where the triforce of heart, legs and bike frame must work in unison to finish in first. 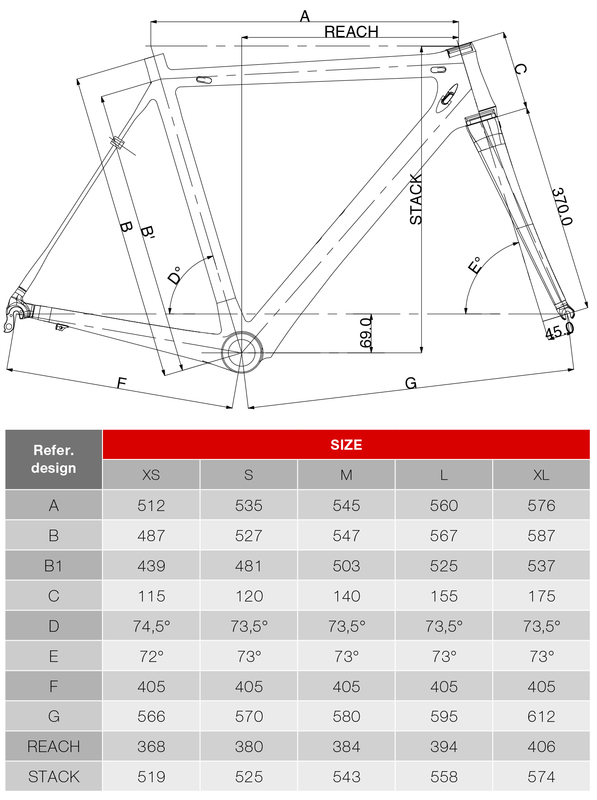 The Frame has gone under extensive and painful testing to ensure that the frame is up to the intense expectations that Dedacciai prides itself on, and so it can exceed the upgraded EN 14781 standard. The Gladiatore 2 frame weighs just 999g in Medium and it's sleek clean lines excentuates its intended use of long dsistance riding. The compact top tube coupled with the long headtube, with shock absorbing seat stays all marry together to give you the most comfortable ride possible. <>pThe Gladiatore 2 frame features Deda's famous Anti-Wrinkle Process inside the tubing which uses an epoxy resin to fill in all the creases and minute holes in the carbon fibre to give it a a smooth finish inside and out and to help bond the fibres giving it a longer life time. The tapered 1-1/8"" to 1-1/2"" headtube provides the torsional stiffness required for even the most stressful cornering. The frame is BSA compatible and the cable routing is completely internal to keep the lines of the frame as clean as possible and the 31.6mm seat tube is synonymous with comfort.